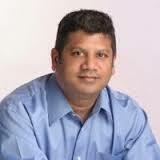 I'm Srini Venugopal, and I'm the Director of eCommerce Product Management at Epicor Software. We provide a modern eCommerce solution (Epicor Commerce Connect) to manufacturing and distribution customers to help them grow their business and conduct digital commerce with their buyers. What role does data play in your day to day job? There are two ways I use data. My job is to run the ecommerce business at Epicor and help more customers adopt our eCommerce solution. To be effective in this role, I need a big picture view of how sales and marketing are doing, how many units we have sold, and how we are doing in the day-to-day implementation of the solution for our customers. This panoramic view of data and the ability to dig deeper to understand key trends helps me connect the dots across the entire business to proactively take the right actions. In short, it is important for an organization to have a culture of data and metrics, which means a foundation based on data. Secondly, it is important to have both the in-depth data collection within a function and the left to right interconnectivity of data across those functions. For example, marketing data connecting with sales and support data driving product improvements and so on. This is a challenge faced by many businesses, where data is an afterthought. Our manufacturing and distribution customers also need data to run their ecommerce storefront effectively. An area of challenge they face is to present multiple product catalog information in a searchable and user-friendly manner on their ecommerce storefront for both their B2B and B2C buyers. This includes rich product information and precise pricing and stock position, both of which need to be easy for the buyer to find, browse and buy. The first step in that process is helping our customers to enable effective search on their ecommerce sites, so that buyers (who always begin with a search engine these days) can browse and then be driven to take action. In short, buyers in today’s world have many options to purchase, including Amazon or national brands, so the local distributors have to offer a compelling shopping experience to keep their buyers from going elsewhere. Data accuracy is important to make sure the premise of your action is predicated on precise information. It's important to be able to determine the source of the data to ensure the trend drawn from the data is reliable. What is your customers' biggest data challenge? From my customers' perspective, they are always gluing different systems together—ERP, CRM, PIMS—so integration is key. How the back end systems talk to each other is a huge challenge and is absolutely essential to my customers' business success. Integration makes or breaks them. Data plays a huge part in how that integration works. In the integration business, the most important element is showing the buyer the most accurate data on two key elements: real-time pricing and product availability. Those are the two killer pieces. When that information isn’t accurate, my customers lose out. Think about it: what we experience as B2C users in our daily life is what our customers' buyers are expecting as B2B users. For example, if you’re trying to buy the new iphone, you might check online inventory and availability in your area. If that search capability isn't available or isn't accurate, you'll move on to a competitor with a better search functionality so you can go get your new phone. Now imagine how many back end systems need to work to get that accurate data to that user in a timely fashion. If there is a single flaw in even one back end system, you've already lost that user to competition. This is the same paradigm that our customers have to solve in the B2B world. What is a trend you see in the world of data science? The biggest trend I see is the move toward predictive analytics: how we can use data to predict what is going to happen in the next quarter or next year? We call them “scenarios.” It is like half time at a football game. Data from the first half tells you that you can keep doing the same thing or you can alter your tactics with aggressive and data-driven strategies to alter the course of the game and your business! Running different scenarios based on past data to simulate future results is what predictive analytics helps us do and then take real world actions to drive your business forward.